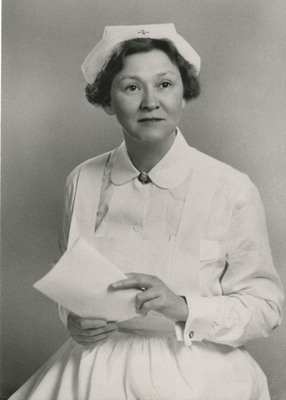 This photograph features Celia Bast, a graduate of the Good Samaritan School of Nursing Class of 1920. Ms. Bast and Emily Loveridge maintained a close friendship and regular correspondence following Ms. Bast's graduation. Unknown, "Portrait of Celia Bast" (1920). Good Samaritan School of Nursing Photographs. Image. Submission 141.